Viktor Orbán’s offensive against the Central European University is at the core of the worsening relationship between Hungary and the EU institutions. But his man at the European Commission, Tibor Navracsics, insists that he is “deeply interested” in keeping the university in Budapest. 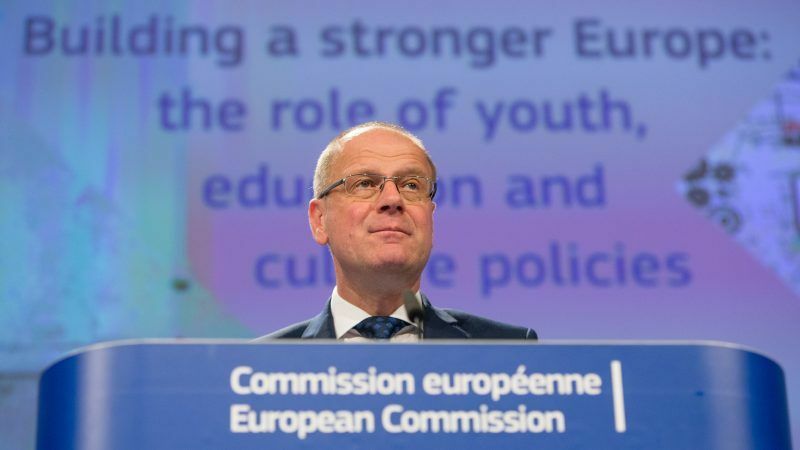 Navracsics is the Commissioner for education, culture, youth and sport. Prior to that, he was Hungary’s deputy prime minister, and responsible for foreign affairs and justice in Orban’s governments. Commissioner Navracsics spoke with EURACTIV.com’s Jorge Valero on the sidelines of the celebration of the 10th anniversary of the European Institute of Innovation and Technology (EIT), held in Budapest on Thursday (4 October). Universities are a key partner in the EIT communities. You know well the situation as regards to foreign universities in Hungary, the host country of the institute. Do consider compatible hosting the EIT and the Hungarian government’s decision to lift barriers for certain universities? Universities can operate in the country if they get some new permissions, or if they have their own university activities in their motherland. The problem with the Central European University is that there was not an American branch, and according to the new law they have to make it. As far as I know, they are launching the American branch so there will be no problem with that. Otherwise, it is an exclusive competence of the member states. Therefore we cannot interfere. But I already said several times that I am deeply interested in keeping the CEU’s activities here in Hungary. I don’t think this case would cause any problems with the EIT, because Hungary and the institute are still cooperating. And I hope that in the future there could be more fruitful cooperation. Do you believe that the activation of Article 7 by the European Parliament was the lowest point in the relationship between Hungary and the EU institutions and the situation would improve or the relationship would continue worsening? That is a political debate between the European Parliament and Hungary. The European Commission is not involved in that procedure. I have no private and public opinion about that. In regards to the EIT, what would it be the number one lesson learnt from the past ten years? That would be flexibility. We have to make the business model and the structure of the EIT more flexible. The first decade was about creating the business model and the environment. The first Knowledge and Innovation Communities (KICs) were revolutionary. Now we have to develop it further and make the EIT as a whole more flexible to address the challenges of the future. That would mean more KICs and a more flexible relation between the administrative headquarters and the KICs. The European Court of Auditors issued a report two years ago criticising the complex structure of the institute. Has there been any progress since then? It was a milestone in the history of EIT and also in revamping the original structure. The ECA opinion was a very important point of departure for us. At that time, I convened an expert group, which published a report on the future perspectives of the EIT. We worked together with the management of the EIT. Now I can tell you that the EIT is in solid and good shape. The ECA just flagged its future orientations on which we are working on. The Commission is now setting up a European Innovation Council. Some argued that it would address different phases of the disruptive innovation process. The EIC would scale up startups coming from the EIT. But still, the new EIC would set up its own ecosystems, the added value of the EIT. Is that synergy or overlapping? My personal relation with commissioner Moedas [responsible for EIC] is perfect. We discussed this topic several times and I am sure that he really relies on the contribution of the EIT. The institute is the main stakeholder in the innovation ecosystem of the EU. Its links to the outside world place it in a very powerful position. I am sure that the most important players in the EIC would be the EIT and its contribution would be really crucial. Are you concerned about the fact that the EIC or other private-led initiatives, such as the Joint European Disruptive Initiative, could eclipse the EIT and absorb some of the funds, energy and support that the institute still needs? I am sure that the KICs can continue their path-breaking activities in the future as well. The KICs are very important meeting points of businesses, researchers and education. That is the best synergy for innovation. I am not concerned about their future. There is a huge pressure on us to launch new KICs on several topics and we may do it. What I am concerned about is the lack of overall level of funding. I am sure that the KICs will have a privileged provision in the future as well. Which KICs or societal challenges do you foresee to be the next ones to come? There is some pressure to launch one on creative industries. Because these industries may be the competitive edge of the future of European economies. We are still the number one in this sector. We have to preserve this position. At the end of this year, we are launching one on manufacturing, and another one on urban mobility.